Baby growth chart / Indian Baby height (CM) chart and weight (KG) chart : 0 to 60 Months – The major concern for parents in the early stages of baby life is always been growth in terms of height and weight. Also may want to know whether their baby is growing normally or not. Though each baby is different, grow and develop at their own phase, they follow similar growth pattern based on their size and gender. Growth charts help you to track your baby’s growth and assures you that your baby is growing normally in a healthy way. Baby Girls and boys follow different growth pattern as boys growth rate is higher than girls. In this post, let us get to know more details about baby’s growth from birth to five years! What is the growth chart? WHO (World Health Organization) developed growth charts for babies and kids after researching growth patterns across the world, including India. These charts are followed by health professionals over 100 countries across the world and its recommended by the Indian Academy of Pediatrics as well! Baby’s growth can be tracked roughly with these charts. The growth chart contains the child’s age, weight, and height, also made up with a series of percentile curves that explains the selected body measurements in children. Check the charts and tables included in the post for more details and a better understanding. The image shown below is a simple way to calculate your daughter’s ideal height and weight from birth to five years. Usually baby girls weight gain will be faster up to 1 year/12 month and the weight gain slows down. This below growth chart for girls gives the measurement range between the 3rd and 97th percentile of the WHO growth standards for baby girls. Checking that your daughter fits into this range can reassure you that she is within the normal range of height, weight and head circumference measurements for her age. Refer WHO chart for Girls from 0 to 5 years for the complete information. The image shown below is a simple way to calculate your son’s ideal height and weight from birth to five years. Usually baby boys weight gain will be faster up to 1 year/12 month and the weight gain slows down. This below growth chart for boys gives the measurement range between the 3rd and 97th percentile of the WHO growth standards for baby boys. Checking that your son fits into this range can reassure you that he is within the normal range of height, weight and head circumference measurements for his age. Refer WHO chart for Boys from 0 to 5 years for the complete information. What does 3rd and 97th “Percentile” mean in the growth chart? Percentiles compare your child with other children of the same age. Higher percentile(97th) means the maximum range of weight/height, Lower percentile (3rd) means a minimum range of height/weight compared to another child of the same age group. If your child is on the 97th percentile, then it means that he is the 97th heaviest(weight) or tallest(height) out of 100 children of similar age, and if your child is on the third percentile then it means he is the third heaviest or tallest out of 100. My child is on the lower/higher percentile, Should I be Concerned? First of all, don’t panic. You must understand that each child is unique and have a pattern of growth. Monitoring the regular height and weight over time, helps you determine your child’s individual growth pattern. A lower percentile doesn’t always mean that your baby is underweight and the same is true for higher percentile. The variation in the chart may be temporary due to a growth spurt (overweight) or sickness (low weight). The growth also depends on more than one factor, For example, if both parents are shorter than average, it would be normal for that child to have lower percentile for height and weight as they grow up. If your child’s growth rate is lower/higher, then check with your child’s pediatrician. He checks out for a bigger difference in percentiles and he may explore further and let you know the reason for the change in growth over time. If your baby is on solid foods, he might investigate further on stool output, food allergy, any medical condition that’s keeping your child from absorbing enough calories or he may suggest tips to gain weight and list of healthy weight gaining foods. It’s common that your child is fussy about food and don’t be hard on yourself if your child is n’t eating well. Here are some tips on how to encourage eating. Always offer healthy foods with a balanced diet and variety. Aim for three to five portions of fruits and vegetables a day. Encourage self-feeding and try finger foods. Start including different colors and textures of food. Involve your child in cooking wherever possible. Eat as a family and be a role model for healthy eating habits. 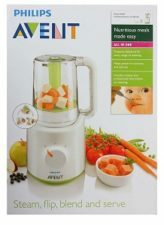 Check out a variety of recipes for babies which are suitable for babies from 6 months to 5 years! Last but not least, If your baby is healthy, active and happy, that is very important! 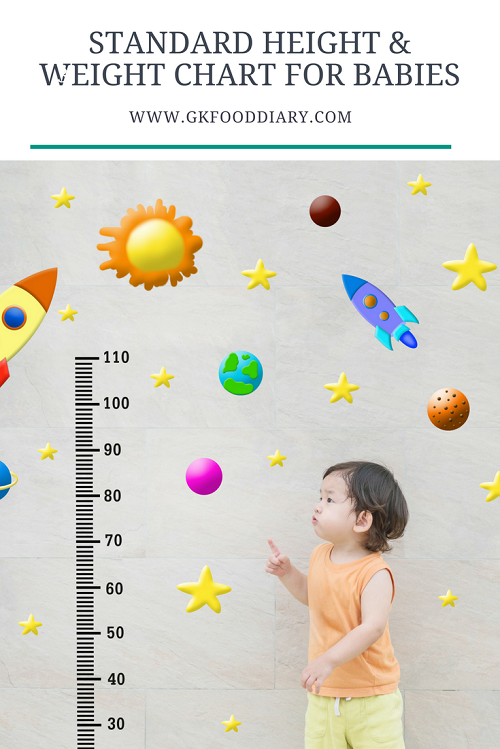 These growth charts are just a reassurance of your baby’s overall health and development! Hi can u please suggest a savoury porridge recipe especially the urad dal porridge can it be turned savoury? For any savory porridge, temper with cumin seeds and add salt & little pepper powder[for babies above one year. And use coconut milk if the recipe calls for milk. I will try to share some detailed recipes soon.